The following is a compilation of helpful websites for additional information on vegetarian nutrition, vegan shopping, sustainability, compassionate organizations, and herbs/ supplements/ complementary / integrative functional medicine. Please feel free to report any broken links: here. 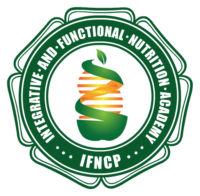 Please note that this list was freely compiled as a service to Botanical Nutrition supporters and is by no means comprehensive. Botanical Nutrition does not accept solicitations for inclusion in this list or advertising compensation of any kind.